Facebook is going places and wants others to follow. The social media network is exploring ways to get people to explore nearby businesses and locations by having ads pop up on their mobile devices when they pop into a store or visit a landmark. One service is called Place Tips and it would serve Facebook’s goal of gaining location-based market share from Yelp and Foursquare. The company is currently testing Place Tips in popular destinations and landmarks throughout New York City. Facebook is also testing a Bluetooth beacon service in several New York City stores that sends ads to people’s mobile devices as they enter the shop. These services could signal a new geo-targeting presence for Facebook and enable the network to continue expanding beyond its social media circle. The U.K.’s Daily Mail posted more on these possibilities that would take Facebook advertising to exciting new places. The purpose of Place Tips is to encourage people to explore their surroundings by sending them relevant and fun information about the places they’re in. A user’s location would be determined via Wi-Fi, GPS, and cellular networks. Then, Place Tips would appear at the top of their News Feeds when they’re out and about in different places. Place Tips would be an opt-in service and only be shown to users who give permission to access their location. As with most Facebook features, the user would have the ability to turn off or hide the service at any time. And since privacy is always a priority, the user’s location would not be shared in any way with anyone. Facebook is planning to test Place Tips in major New York destinations such as Central Park, Times Square, and the Statue of Liberty, among others. Taking this new location-based direction even further, Facebook is experimenting with using Bluetooth beacons to transmit Place Tips to people in stores. The beacons would be attached to a store’s walls and use Bluetooth to send ads to customers within a 500-foot range. This technology is already being used in Apple stores, with great success. For now, Facebook is testing beacons in traffic-heavy New York City businesses including Dominique Ansel Bakery and The Metropolitan Museum of Art. 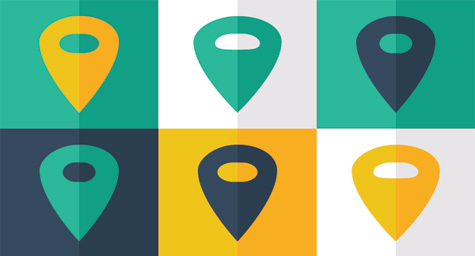 These new geo-targeting efforts are a clear signal that Facebook is looking to rival the leading location-based services and take its place at the top. Get the latest updates on social media marketing. Contact MDG Advertising. MDG Advertising, a full-service advertising agency with offices in Boca Raton and New York City, is one of Florida’s top social media marketing companies and branding firms. MDG’s core capabilities include advertising, branding, logo design, creative, infographic development, digital marketing, creative media planning and buying, radio and TV advertising, website design and development, email marketing, content marketing, social media marketing, and SEO. To stay on top of the latest trends in hotel marketing and advertising, contact MDG Advertising.